Today we started Double Vision VI, an art show jointly sponsored by the All About Art Club and the Photography Club of Sun City-Hilton Head. I chaired the setup committee and spent yesterday and today getting art panels moved from storage in the art room to the Pinckney Hall ballroom and then set up in the pattern specified by the committee responsible for hanging the art. Photos and paintings were checked in starting at 9:00 am, and the show was prepared and opened with a reception at 5:00 pm. I haven’t seen the entire show yet but I’m sure it is a fabulous collection of art. 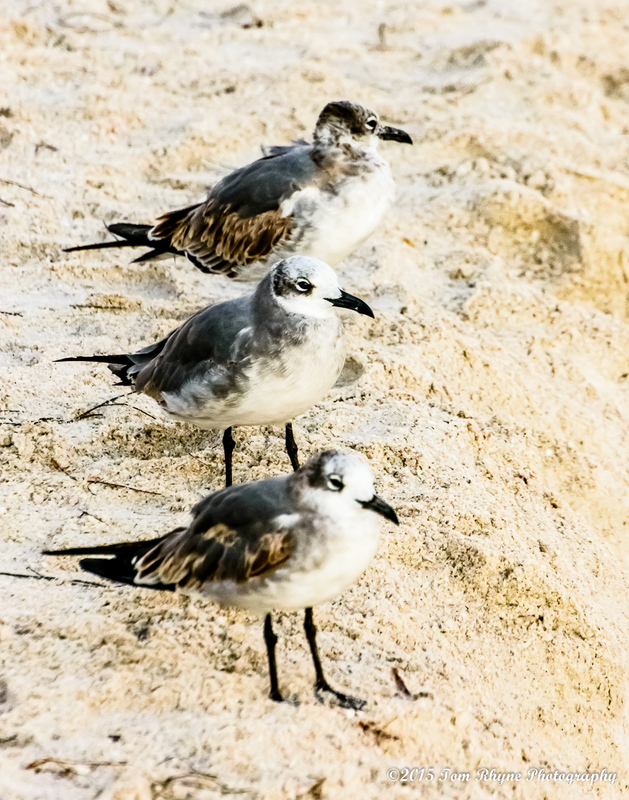 My photographic print entry is “The Watchers” which I took at the Tampa Bay shore of Anna Marie Island last summer. I was surprised to learn that my framed print sold during the first hour of the show! This entry was posted in Birds, Commentary, Uncategorized. Bookmark the permalink. Happy to see your sharp eye turned to photography Tom! Beautiful shots of cedar waxwings! You’re in a beautiful location and I hope all is well with you and yours.